LOS ANGELES – The Los Angeles County Board of Supervisors voted unanimously Tuesday to spend $5 million to prevent housing discrimination, including drafting an ordinance to prohibit landlords from denying renters who use Section 8 vouchers. The county’s ordinance would cover unincorporated areas, including Quartz Hill, Littlerock and Lake Los Angeles. Residents who suspect discrimination can make a complaint to the Housing Rights Center’s hotline at 800-477-5977 or at www.hrc-la.org. Authorities are urging anyone reporting a problem to keep a detailed record of meetings and phone calls and save applications, business cards and other documents. 23 comments for "L.A. County to prohibit landlord discrimination against Section 8 families"
These people are lazy and want free hand outs they are unmotivated and lazy good for nothing all they do is sit around all day drinking in the front yards of their place taking advantage of everyone and everything they can and still go around stealing what ever they can . 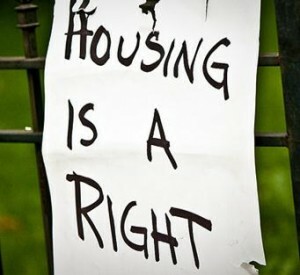 Ignorant comments by individuals that have no idea how section 8 works! Why don’t you people educate yourself instead of buying into all the propoganda about how horrible section 8 tenants are? Section 8 tenants are subject to credit and criminal background checks, and pay security deposits just like non section 8 tenants do. They also undergo annual inspections to make sure the landlords property is being maintained properly, so to say renting to a person on section 8 is anymore of a risk than renting to a non section 8 tenant is simply.not true. No, wrong. Most section 8 applicants DO NOT pay for their own deposits. There is plenty of risk, especially in cases where living and income status changes but go unreported jeopardizing the landlords for non payments of rent after it’s caught and the tenant is subsequently and abruptly removed from the program. This leaves the landlord with the cost/task of having to evict a now disgruntaled tenant from the property who will almost always destroy it and run the full 3-6month course of eviction in order to not move or pay rent. You get educated. It’s not just a one sided story of poor section 8 applicants. It’s a two sided tale. Notice that republicans don’t touch Section 8 while cutting things like Medicaid and other social services. The money goes to the landlords not the tenants. It’s a big scam for guaranteed rent payments from the government so they don’t have to rent on the open market likely for less. The renters/voucher holders get all that static but it’s the landlords that are the scammers. I’ve seen “Large 5 bedroom, 3 or 4 bath houses w/POOL. Section 8 OK” in the Valley Press. So, we taxpayers are paying the off mortgage for the landlords. No way should a home with a pool be eligible for Section 8 but they are unless the rules have changed. Come on. Someone who needs assistance surely can’t afford to heat/cool and maintain a large, upscale home with or without a pool that benefits a landlord stuck with it. I would be fine with this as long as other places in LA County like Santa Clarita, Malibu, Agoura Hills, Westlake Village, Calabassas, Charter Oaks, Topanga Canyon, Studio City, Sherman Oaks, Diamond Bar, Claremont and Bradbury take in their “fair share” of Section 8 too. This is ridiculous!!! A home owner/apartment complex should have the right to refuse anyone they deem unfit to inhabit their property. Antelope Valley needs less Section 8. To force individuals to do otherwise should be a crime. If you cant afford the rent… Move to somewhere you can afford!! If they build a million affordable housing units no one would need to move. Knock the snot out of rents though, so the property owners are totally against it. They only want the government to do things that boost property values. That does it…I’m selling my rental. Tried having a Section 8 live in it, and when they moved I had to fill seven bins…count ’em…seven bins with their trash. I also had to replace the carpet because it was infested with lice. Anyone need a house? Yep they are all nasty roaches they leave all their sh**t behind. They should live in a trailer if they are so needy. I am not a trump supporter, nor a rasist, but I agree with Jack that your comment definitely shows that you may be the one that needs reporting. You can’t report someone because of their political faction. But you can report them for violations of the Fair Housing Act. Their political affiliation would be incidental. But it does seem likely that violators of the FHA would support Trump, since they have that “fellow criminal” kinship going. Of course, since the President of the US has systematically violated the FHA in his own business it seemsdoubtful that his administration would prioritize enforcing it, so reports at this point are unlikely to get any response. some don’t even take care of there own selves ! Sounds good. If the house is trashed by the occupant, who will pay for the damage? It happens often. Respect the place you rent, because it doesn’t belong to you. You know, the golden rule. It’s difficult for a person to take care of and/or appreciate something they don’t have to work for or suffer for. Until it’s costs them something like sacrifice, hard work, consistency…there is no true appreciation of it. I am sure that Sheila Kuehl and Mark Ridley-Thomas would love to have Section 8 on their street or in their neighborhood. There are couple big issues that prohibit some landlords Don’t rent to voucher holders. 1) Respond time takes long time and the landlord still have to pay the mortgage for vacant place. 2) no incentives for sec 8 voucher holder except, homeless programs or veterans programs. 4) tenants can leave the property before their lease is up and that become landlord loss. Maybe it’s not discrimination over the fact that you are in section 8 and have a voucher but the fact that the section 8 program and it’s workers are lazy, rude and make the entire process so unbearable you would just rather not deal with it. I know a couple of Landlords that are Racist Trump Supporters is There a Number I Can Call To Report Them? How can you name yourself “Good Citizen” with a remark like this?